Magenta fans rejoice, the next big thing is now available on T-Mobile. Starting today, the Samsung Galaxy S5 is now available on the nation’s fourth largest carrier. T-Mobile is offering the device for $0 down and around $27.50/month. Which isn’t a bad price, but you can also buy it outright if you’d rather do that. With T-Mobile’s plans you can get the Galaxy S5 with 1GB of data and unlimited talk and text for $50, or 3GB for $60, 5GB for $70 and unlimited for $80. T-Mobile also has their new Simple Starter plan which goes live tomorrow, so if you’re looking for that plan you’ll have to wait til tomorrow to grab the Galaxy S5, or just switch plans after you get your device. Either one is a good idea. The Samsung Galaxy S5 has a 5.1-inch 1080p display which has 431ppi. It also has the Snapdragon 801 inside with 2GB of RAM, 16GB of internal storage, a 16MP camera, and Android 4.4.2. So in short, it’s a beast. And you’re going to want to buy the Galaxy S5. 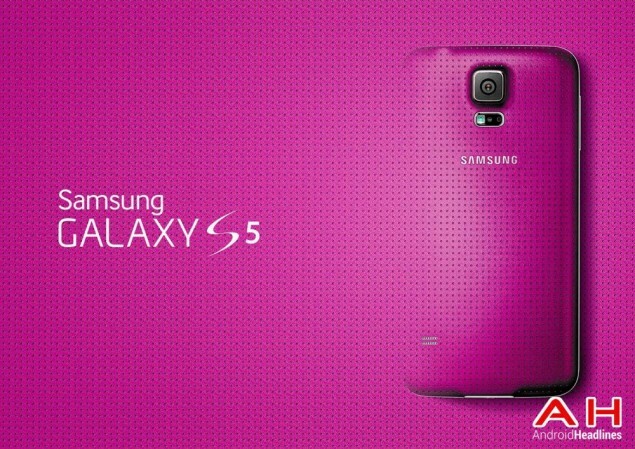 The post Samsung Galaxy S5 arrives on T-Mobile appeared first on AndroidHeadlines.com |.